According to report, there are several users who are complaining about bootloop after Mi A2 January update. Google was controlling software development part of Android One phones. But now, OEMs have significant authority in hand. So, adding mild bloadware or delaying updates are most common. They have also said, lack of quality in Android One firmware is big thing currently. We have already seen that Xiaomi’s first Android One phone, Mi A1 was plugged with number of issues after launch and users are complaining about it. 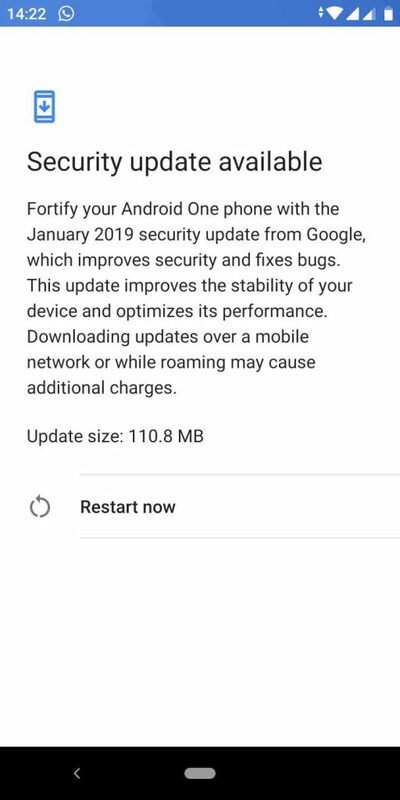 Now comes to Mi A2 January update, we are seeing this phone is also following the same path like Mi A1. Actually, Mi A2 features updates techniques after updating the inactive slot it prompts for restarts, but the Smartphone gets stuck at Android One screen. Users are reporting about the matter. Let’s take have a look at Xiaomi’s own forum which users filling up such complains. We have researched on the matter deeply and finally we get that, Xiaomi is pushing two separate updates including V10.0.2.0.PDIMIFJ and V10.0.3.0.PDIMIFJ. Both the versions were tested as beta and finally, release for users marked as stable. But report says, this update has bug involving the inactive slot. Afterward, most of the users are complaining that they did not unlock their bootloaders and cause bootloop on their phones. At the moment, the problem is not solved. We are researching on the matter deeply and definitely post an update, if it will come in future. You can share your own opinion about Mi A2 January update on comment box given below.